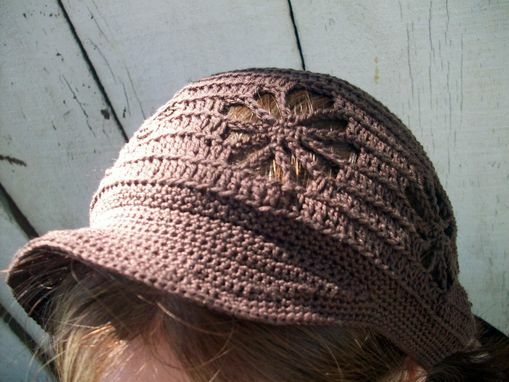 This soft, cotton cap has a open design known as spider web lace. It has a wide, stretchy brim, perfect for tucking up your hair. It will fit a head circumference up to 23". The cotton yarn was rescued from a thrift store. Cotton is so wonderfully breathable. 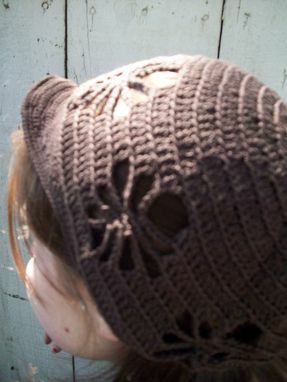 That and the open design makes this an all-season hat.